Our Management Of Change module is an electronic system that helps clients streamline the process for recording and electronically managing the change control process. 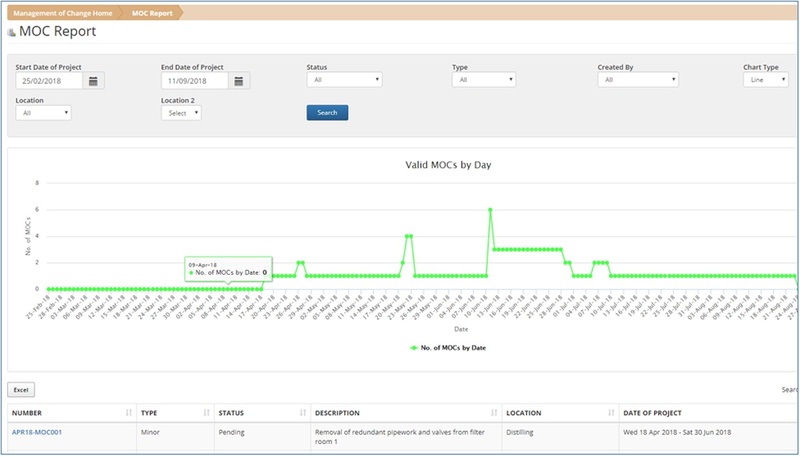 MOC can be fully customized to replicate existing change control processes used on site.It allows for the tracking, approval and reporting of all outstanding change controls. The system allows for the removal of paper inefficiencies that currently exist within your paper process and replace them with collaborative online workflow based screens. This allows users to submit major or minor change requests and push associated tasks for approval and closure. 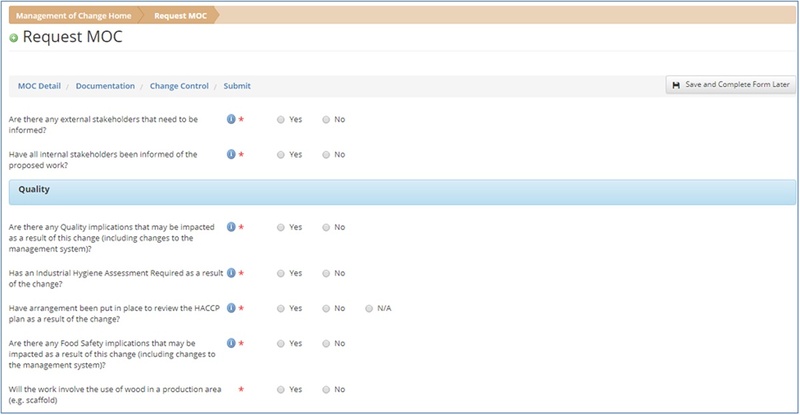 MOC can automatically assign mandatory approvers and create tasks to be completed on specific questions with selected task owners. Some documents may require supporting records, which can be electronically linked to the document for viewing. An overview of all tasks and changes can be quickly viewed in real time showing all requested information. All data within the system can be generated into a report. All screens will be configured to meet the requirements of the customer. The project team will configure the various building locations, MOC owners and approvers as required. 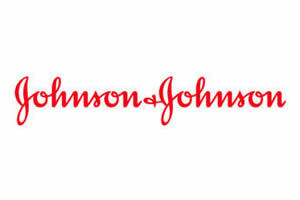 Multiple change requests within the MOC can be configured to an associated task requirement. Once an MOC is submitted, an approver can log in to the MOC system and review all details about the requested change and assigned tasks. Once a request has been submitted, the selected approver will receive an email with the change request / document details. Likewise, once a change has been approved or rejected the raiser will receive an automatic email notification. When closing a task, the system will allow the user to attach information and provide any closing comments.